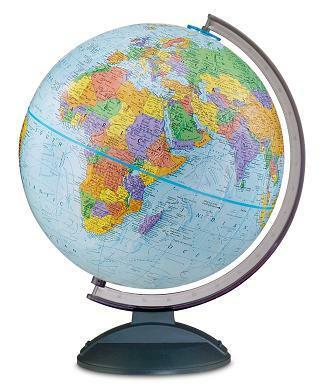 The Traveler Desk Globe from Replogle is designed for hands-on classroom learning. Blue oceans and vivid land masses with raised relief will appeal to a range of students. The scratch-resistant black plastic base and semi-meridian will stand up to years of use. Replogle's Traveler Desk Globe is backed by a one-year warranty.